LOVE JUGS CLAIM TO BE THE MOST EFFICIENT AND POWERFUL V-TWIN ENGINE AND OIL COOLER IS NOW VERIFIED BY AN UNIMPEACHABLE LAB TEST. 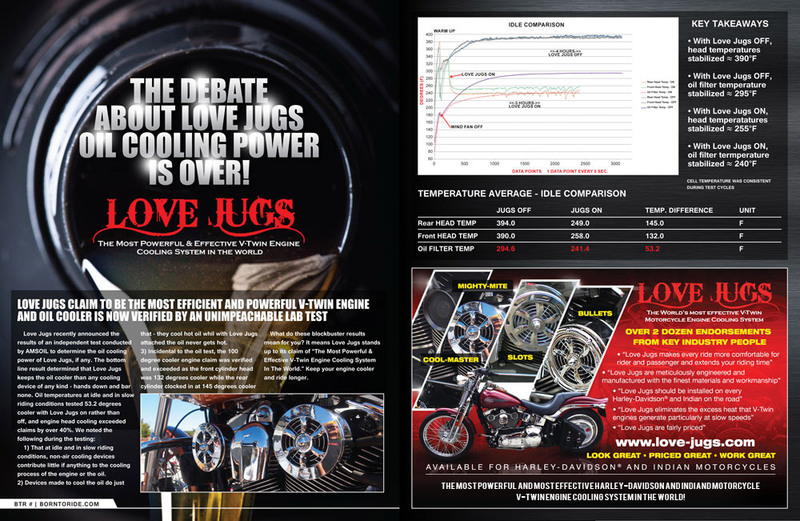 Love Jugs announces the results of an independent test conducted by AMSOIL to determine the oil cooling power of Love Jugs, if any. The bottom line result determined that Love Jugs keeps the oil cooler than any cooling device of any kind – hands down and bar none. 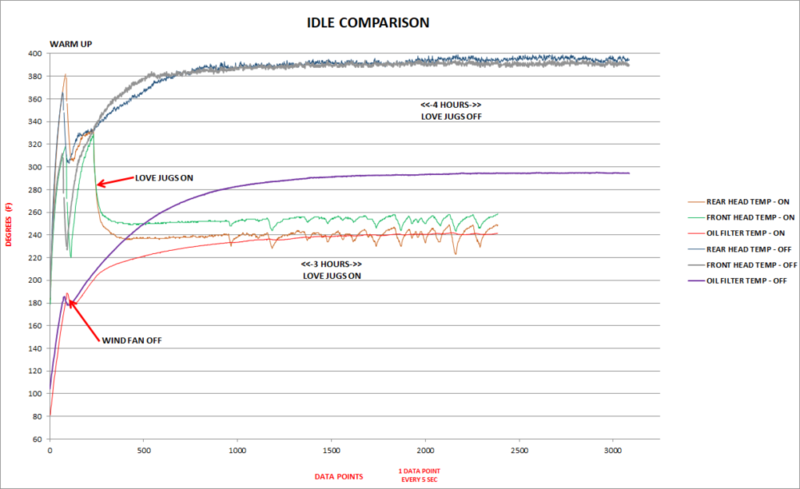 Here is the result of their test made at idle, when the V-Twin most needs the air cooling. NOTE: that devices made to cool the oil do just that – they cool hot oil while with Love Jugs the oil never does get hot. NOTE: that incidental to the oil test our 100 degree cooler engine claim was verified and exceeded as the front cylinder head was 132 degrees cooler while the rear cylinder clocked in at 145 degrees cooler. AWSOME, BLOCKBUSTER, STAGGERING results that mean a more comfortable ride for you and a longer life for your engine. Here is the actual chart and synopsis.